Yesterday we visited Kamakura. I love there because of the beach and some beautiful temples. 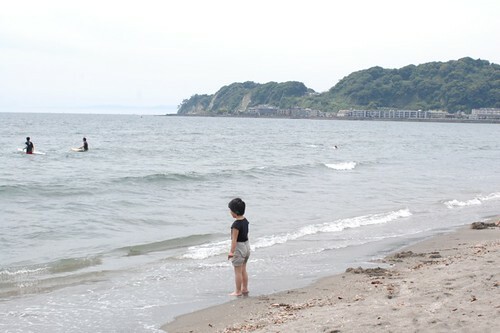 We went to the beach at first and took lunch (what I cooked in the morning). 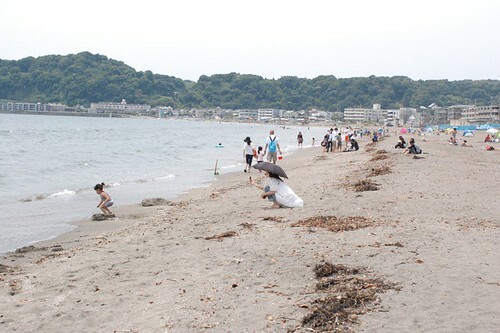 It was hot day and many people were enjoying in the sea. Then we walked to Hase temple. 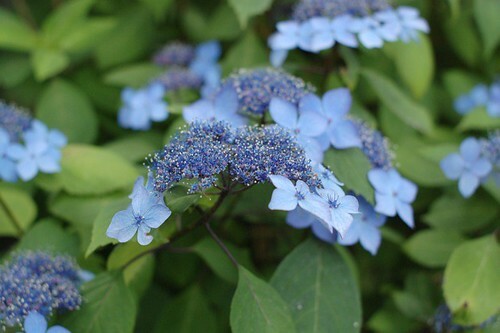 It's famous of Hydrangea. I love the flower a lot (* v *)!!!! But the temple is in the mountain and I had to climb a lot to see them. This is the sight from the highest point. At the noon, we were at the beach over there... We walked a lot! My husband took lots of pictures to show Tomato in the future. I hope she likes the flowers as we do. We walked quite a lot so I took a nap after we got home. When I woke up, I couldn't find my husband. He went out shopping for me. It was a very happy day for me (* v *). 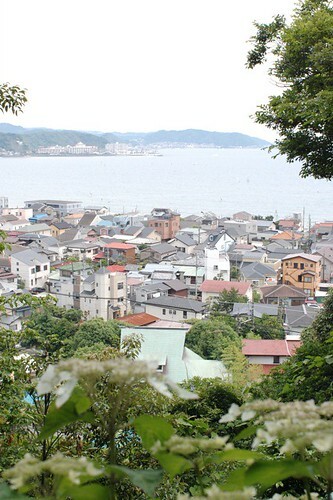 We'll go to Kamakura again after the birth of Tomato. I'm sure Tomato will like to go there, it's so pretty! Hi Mai, the pictures are so lovely. 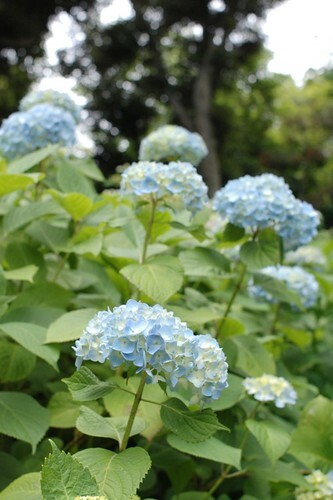 I have fake hydrangeas at home. Next time, I will take photo and email them to you. Sounds and looks like you had a wonderful day Mai. I have been reading your Blog for a long time but this is my first comment! Your crafts and pictures are always so beautiful! I feel so relaxed when I am reading your stories! Dear Mai, I read your blog with great pleasure. I am so happy to see this beautiful day you had with your family. For an 8 month pregnated woman that´s a lot of walking , now you see why your doctor told you not to gane weigth . Beautiful place and I love the flowers too. Walking is healthy, good for you. I follow your blog there is a few months and it seems to me you are a wonderful person. I was very happy when you spoke about the arriving of yout Tomato. I wish you the best. I also love flowers. 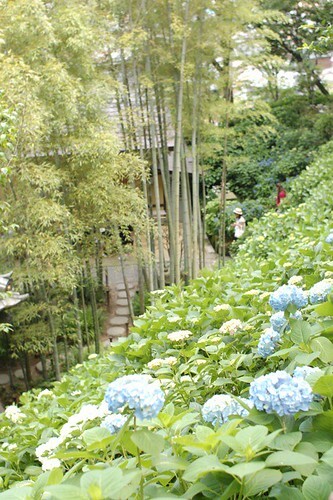 I have a passion for japonese gardens. They are so beautiful and seems everthing is on the right place. 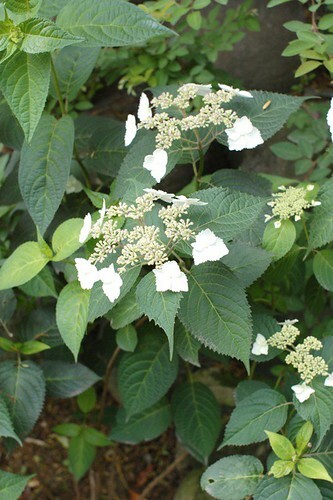 In my country (Portugal) we call to the flower you have on the picture "hortênsia". In the islands of Azores it grows everywhere and sometimes that is a problem. In my house I have one pink. Thanks for sharing such beautiful images! 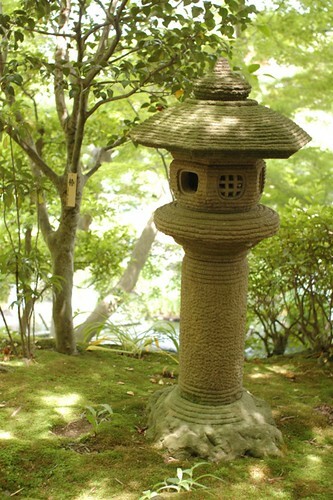 I love the moss in Japanese temples. 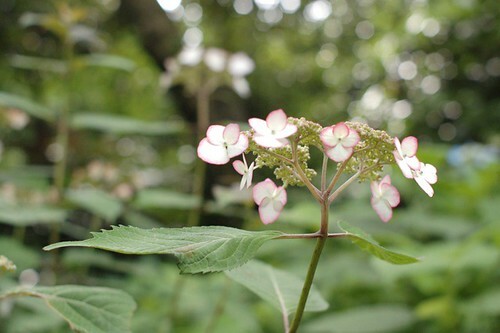 did you know the Hydrangea is a different colour depending on the type of soil not different seeds! you can get pink and blue flowers from one plant! Have another way of travelling with marvelous travelling!